Today is the longest day of the year, most oftenly called Midsummer’s Eve or Summer Solstice. 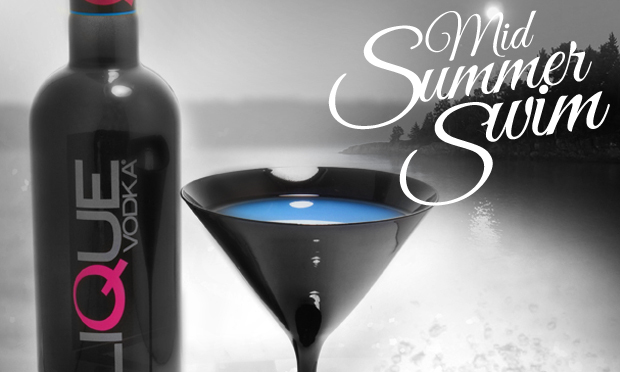 Taking that into consideration, I am assuming that most of you will be spending a bit more time outside today, so why not celebrate with the perfect midsummer cocktail? Named for everyone’s most favorite refreshing summer activities, the “Midsummer Swim” is perfect for lounging in the sun, even when there’s no water nearby! 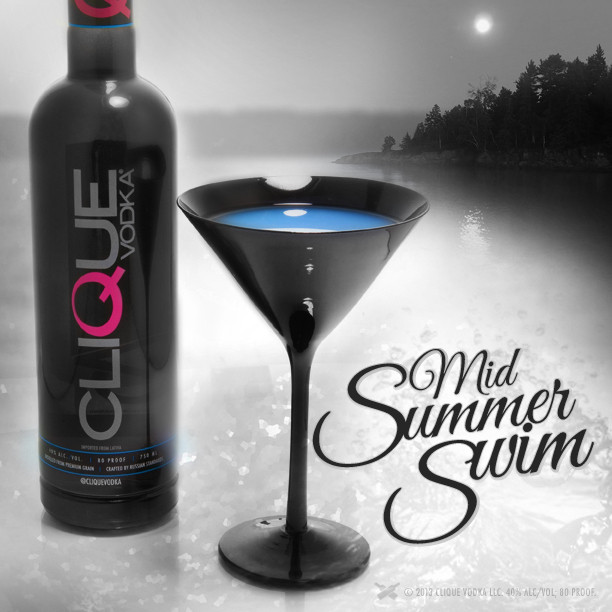 Brilliant blue and tropical, the “Midsummer Swim” will definitely set the pace for a truly relaxing long weekend! When you’re drinking in the heat it’s very important to make sure your cocktail doesn’t warm up to fast, and along with setting it down it the shade, the easiest way to ensure a cold cocktail is to chill the glass before pouring the cocktail in. Do this by filling a cocktail glass (thats the proper name for the v-shaped glass martinis come in) with ice cubes and cold water while you prepare the cocktail. Set it aside, and in a cocktail tin filled with ice add: 2 oz of Clique Vodka, 1/2 oz of colored orange liqueur or blue curacao (Click here for instructions on how to make your own), 1/2 oz of coconut cream, and 1/4 oz of pineapple juice. Shake very well and strain into the cocktail glass after tossing out the ice and water. 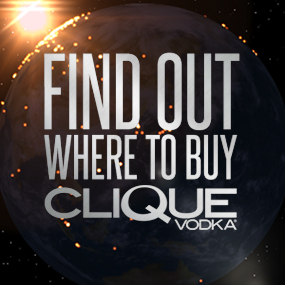 Don’t forget to share your Summer Solstice experiences with Clique Vodka this year by tagging your Instagram photos with the hashtag #CliqueShots. 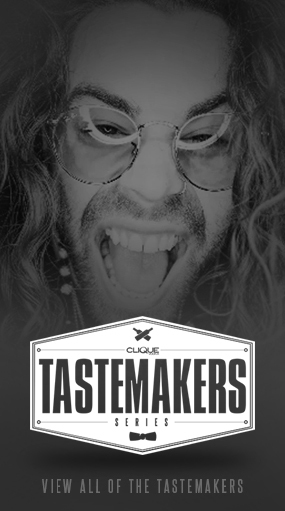 When you do, your photos will show up immediately on the live #CliqueShots feed located on the main page of Clique Vodka’s website, and you can win awesome Clique Vodka prozes just for participating! Make sure to check out everyone else’s Midsummer #CliqueShots photos under the Lifestyle tab and keep checking back for more amazing contests all the time!